Linksys Connect allows you to easily configure your router. By following the setting up instructions, you can have your computer and other wireless devices connected to the Wi-Fi in a matter of minutes. The software also offers a lot of powerful tools, such as Security Settings, Guest Access, Parental Controls, and Advanced Settings, which allow you to secure and manage your Wi-Fi. For your computer – Check your computer’s web browser and operating system and make sure that they fall under the list provided below. NOTE: Only Linksys Connect versions 1.4.12263.1 and newer are compatible with Windows 8. Only Linksys Connect versions 1.4.11222 and newer are compatible with Mac OS X (10.7.x Lion or higher). Currently, only E2500 v3's Linksys Connect version 1.5.15287.0 is compatible with OS X® El Capitan. For more information, click here. 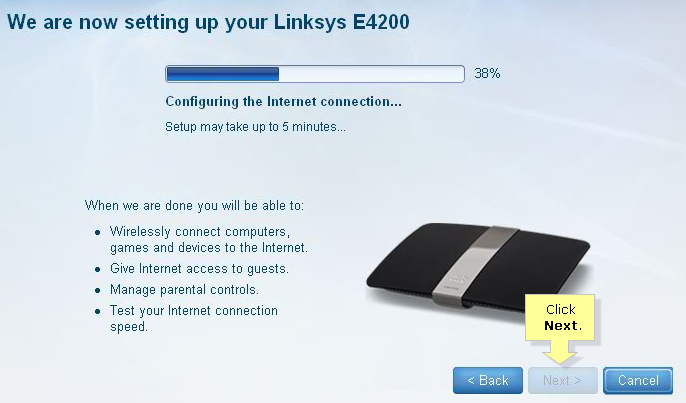 If you do not have a Linksys Connect Setup CD or if your computer does not have a CD drive, you may download the Linksys Connect software installation wizard from the Linksys Support Site. For instructions, click here. 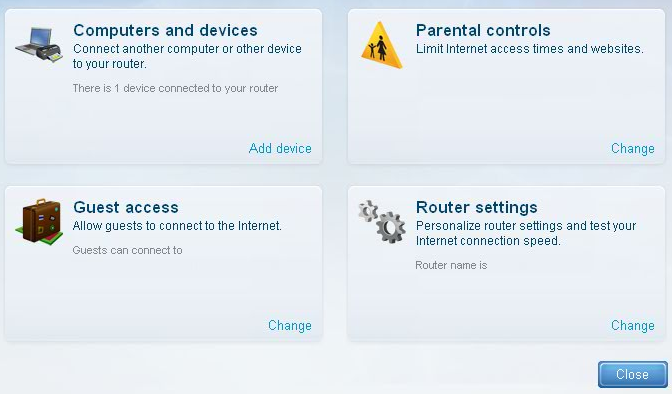 Verify your internet connection – To check if you are able to access the internet, connect the modem to your computer using an ethernet cable. 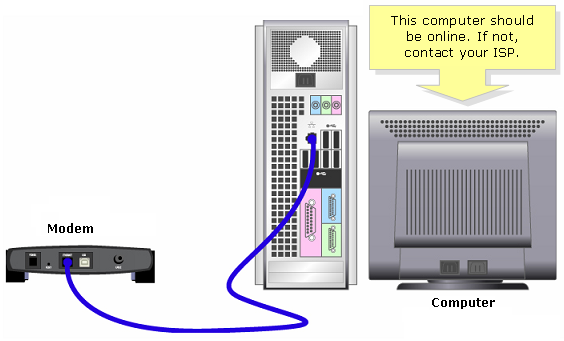 If you do not have a modem, connect the cable (also called a patch or a fiber optic cable) provided by your internet Service Provider (ISP) directly to the computer’s ethernet port. Refer to the image below for an example. Once you have everything listed above completed, you can now proceed with the setup. 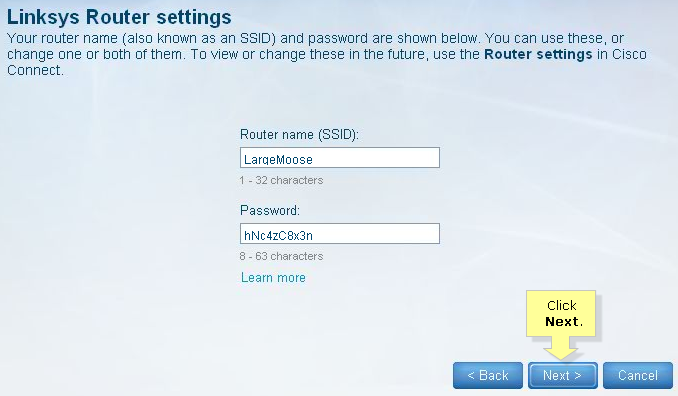 Below are step-by-step instructions on how to set up the Linksys Wi-Fi Router. You can also watch a video article here. Insert the Linksys Connect Setup CD in your computer’s CD drive. 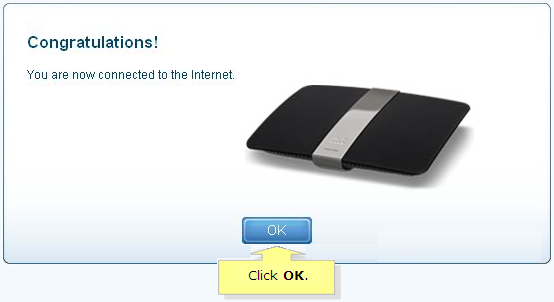 Once a pop-up window appears, click on Set up your Linksys Router. If you do not see any, double-click on the Computer or My Computer icon on your Desktop. Look for the icon then double-click it. This should immediately start the setup process. Click on the links provided to read more about license terms and other related information. At the lower-left portion of the screen, you may also set the language for the setup. Click Next to proceed. Follow instructions 1 and 2 on the setup screen. If you need more help, click the Show me how button. This will provide you with more comprehensive instructions on how to connect your router to the computer. NOTE: In the screenshots below, the LinksysE4200 is used as an example. The next window will inform you that the setup process is already starting. Do not close this window. Your network will be provided with an auto-generated Wi-Fi name (SSID) and a password. To keep your network secure, you must change your router's Wi-Fi name and password. QUICK TIP: When changing the password, change it to something you can easily remember but cannot be easily figured out. For the Wi-Fi name, try to come up with names that cannot be found in the dictionary, such as combinations of numbers and letters. Once you have personalized your Wi-Fi name and password, click Next. The Setup Wizard will continue with the installation by identifying the type of internet connection being used. Click Next. If you are subscribed to a DSL connection, a new window may appear and would ask you for your account details. You may ask your ISP for this information. Wait for the confirmation window to appear, informing you that you have been connected to the internet. 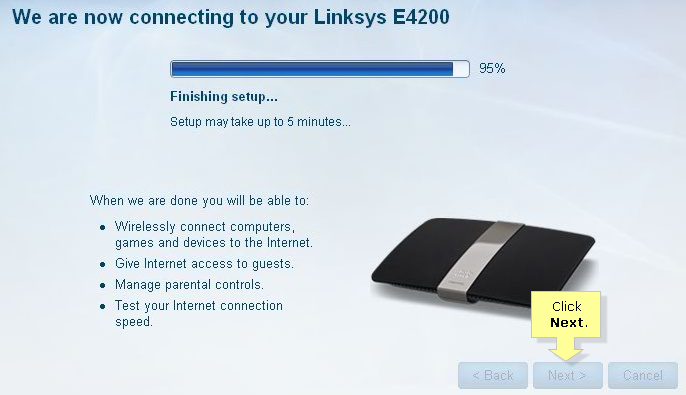 You will be redirected to the main Linksys Connect window after the setup has been finished. You have successfully installed your Linksys router. You can reset the router. Press the Reset button for 10 seconds to reset the device. Perform a powercycle afterwards. To do this, unplug the power cord from the router and the electrical outlet for 10 seconds then plug it back in. Another option would be to check and temporarily disable the firewall software currently running on your computer.